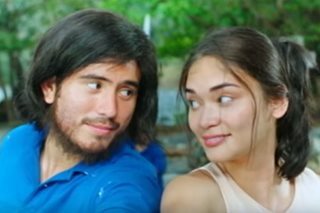 Despite being first-time co-stars, Pia Wurtzbach and Gerald Anderson showed they have good chemistry in the full trailer of the romantic-comedy flick "My Perfect You." Producer Star Cinema released Friday the 2-minute trailer of the Cathy Garcia-Molina film, which centers on Burn (Anderson), a broken-hearted man looking to start over, and Abi (Wurtzbach), a hostel owner whom he meets while on vacation. Whereas the teaser showed Burn exasperated by the ubiquitous and overbearing Abi, the trailer shows a glimpse of the two finally getting along and eventually falling in love. Their chemistry, it appears, will be sprinkled with humor, thanks to the combination of Abi's boisterous personality and Burn's pensive, brooding mood. "My Perfect You" is not only the first time Wurtzbach and Anderson are being paired onscreen; it's also their first time working with Garcia-Molina, regarded as a box-office-hit director known for her relatable takes on rom-coms. "My Perfect You" will hit cinemas nationwide on March 14. Robin Padilla is regarded as an iconic action star in local showbiz, with most if not all of his roles on the big screen being a macho, heroic gentleman who can make any girl swoon. While this archetype is true of his character Leo in the daytime series "Sana Dalawa Ang Puso," it's only to some extent. His love interest, Lisa (Jodi Sta. Maria), is a steely, no-nonsense boss who lends unique chemistry with Padilla's otherwise familiar onscreen persona. Sure, Leo, like Padilla's past characters, is combat-capable, rugged and chivalrous, but this time -- with the unimpressed Lisa having captured his heart -- the company janitor doesn't have the upperhand in the blooming romance. Instead, Padilla's character is the one who get "kilig," not his leading lady. This has been evident in recent episodes of "Sana Dalawa ang Puso," where Leo lights up at the sight of Lisa, and uncontrollably smiles when his boss says something nice to him for a change. Unsurprisingly, Padilla's bad-boy looks paired with his "kilig" moments as Leo have been a constant topic online among viewers of "Sana Dalawa ang Puso." Tweets and comments on producer ABS-CBN's YouTube page range from amusement to clamor for more scenes between Padilla and Sta. Maria. In videos, here's a look at key scenes between Leo and Lisa that demonstrate the chemistry's that's been such a hit with viewers.